With huge funds raised by several start-ups this year, the placements are surely going to be benefited. 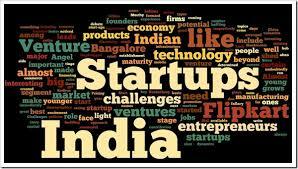 Many start-ups have already registered at several IITs for exclusive recruitments. The number of emerging companies has increased amazingly this year in comparison to that of last year. With these cash-rich startups taking the raw talent from such reputed institutions it is surely going to generate a tough competition for established brands to get their way. Companies like, Google, Goldman Sachs, Samsung, Oracle, Schlumberger etc are some of the established and well known brands for IITs taking number of freshers every year. And with these Two-to-four-year-old start ups the war for fierce talent is going to be tougher as they are offering Rs 12-15 lakh packages on par which is not less than that of the established ones. Packages offered by some of the newly emerged giants! Most of these companies are not exactly start-ups but have emerged in recent years and have reached some heights in whichever field they are operating. Why Students should start their career with start-ups? Also, now students know that MNC prefer the experience of a startup when they switch the jobs so it has its positive impact on the career graph of them as well. Companies such as Zomato, TinyOwl, Monraft, Housing.com, Browser Stack, Red Bus, Continuum Energy, Rays Power Experts, Maxheap Technologies (Commonfloor), Hike and many such companies which have emerged from nowhere in recent 3-4 years have registered with several IITs for recruitments. Most of these companies have IITians as their founders and to recruit from their own alma mater is also a sort of strategy for them. 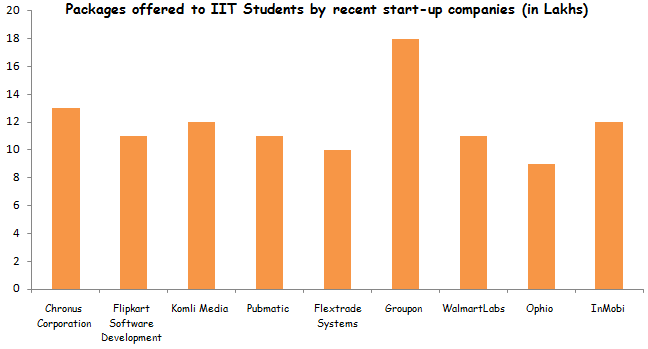 Why students are showing interest in these startups or three-to-four-years old brands? As far as trends are concerned, students globally are choosing the companies that have emerged recently over the companies that are being recruiting since years as they find the level of competition and challenges in these newbie more than that of the established ones. Also these newly emerged giants offer much lucrative offers and have a sense of growth and chances of learning, altogether is attracting today’s youth to join them.